Seismic Sink Corners provide vibration isolation for almost any equipment rack, stand, platforms or speaker. 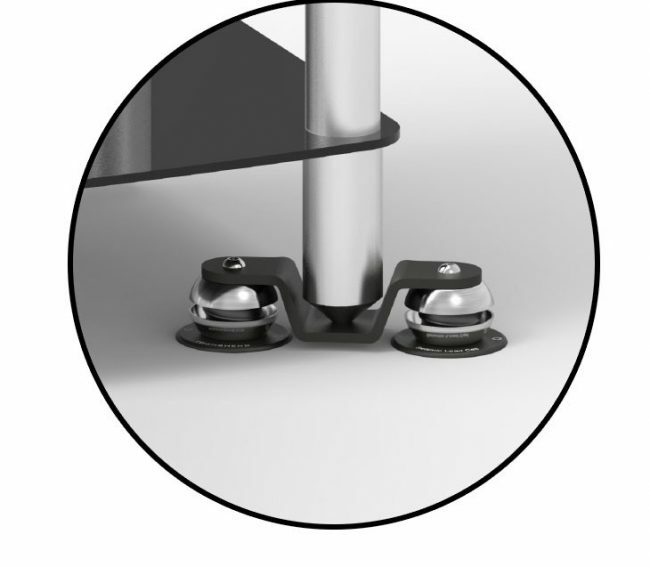 Each Corner is a small platform suspended from two Seismic Load Cells™ on which the equipment legs or spikes are placed. 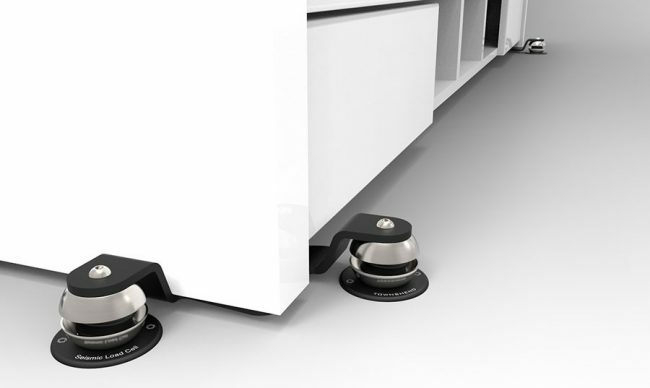 Designed to float your existing equipment rack in an unobtrusive manner, the Seismic Isolation Corners slip discretely under the bottom corners of your support furniture and bring you all the benefits of Seismic Isolation without major upheaval. There are two types of Corners; one for flat feet (F) and one for spikes (S). Level may be adjusted easily when fully loaded.